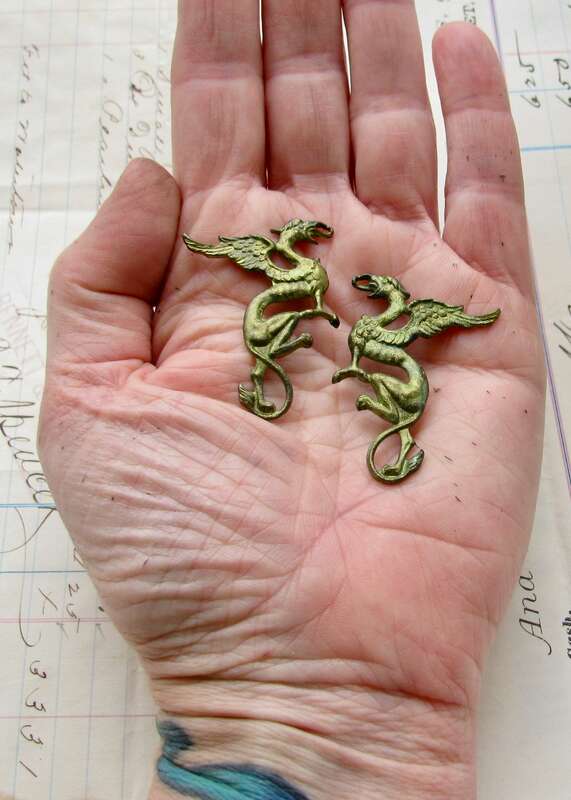 These griffin ornaments come as a pair - one left facing and one right facing. 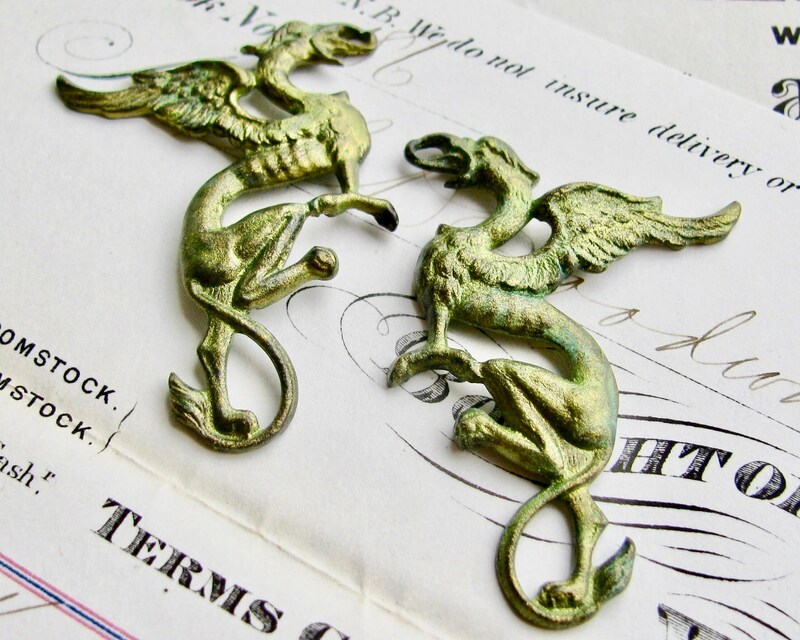 These griffins have loops at their beaks and tails, so can serve as links, pendants or ornaments on their own. The griffin is a legendary creature with the head and wings of an eagle and the body of a lion. 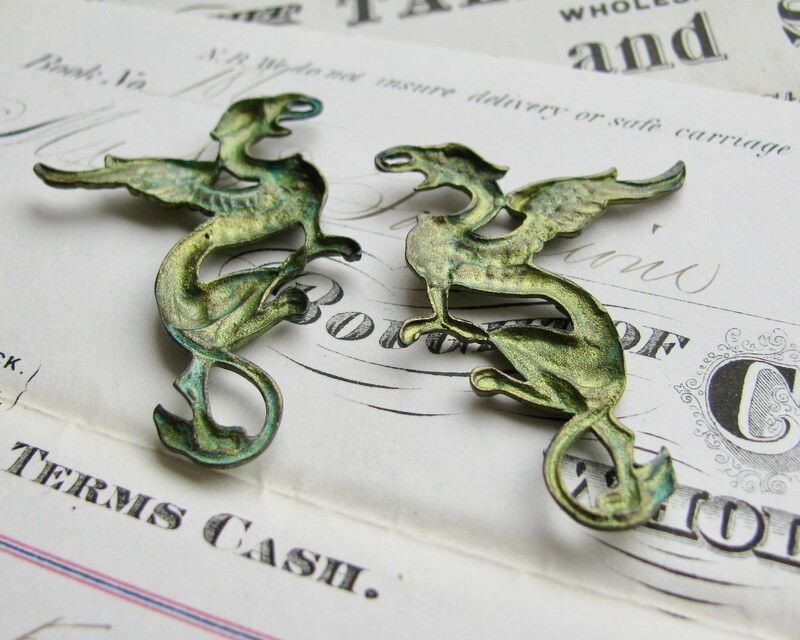 Seen prolifically in Gothic architecture and folk tales, griffins are known as kings of all creatures. They typically guard treasure troves, palaces and sacred religious structures.